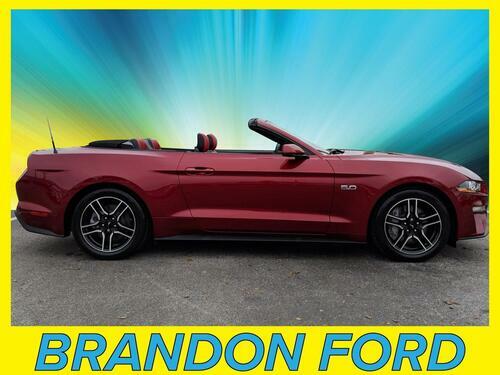 Ford Certified - 7yr/100k Mile Warranty - Pony Package - Navigation - Convertible. This vehicle has been equipped with a back up camera, intelligent access entry, pony projection lamps, and 19'' polished aluminum wheels. Interior options include premium redline leather interior, climate controlled front seats, a touch screen radio, voice activated sync system, and a leather wrapped steering wheel with mounted controls. 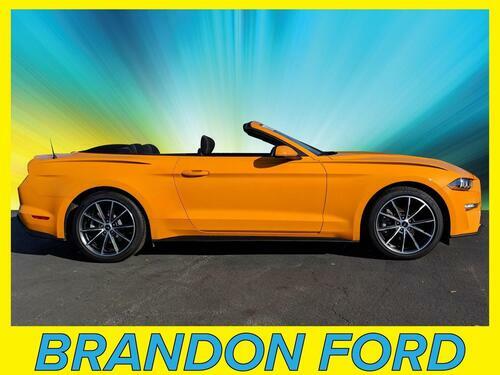 Ford Certified - 7yr/100k Mile Warranty - Pony Package - EcoBoost Engine. This vehicle has been equipped with a back up camera, intelligent access entry, 19'' polished aluminum wheels, and pony projection lamps. Interior options include premium leather seating, climate controlled front seats, a touch screen radio, a voice activated sync system, and a leather wrapped steering wheel with mounted controls. 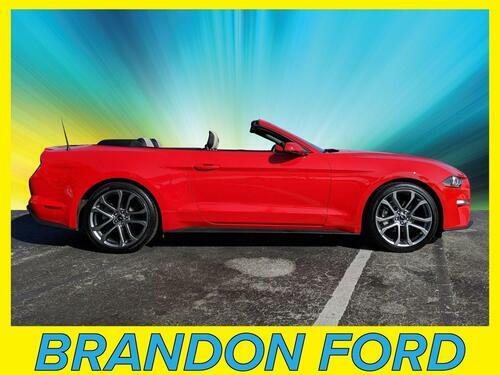 Ford Certified - 7yr/100k Mile Warranty - Wheel & Stripe Package - Convertible. Thus vehicle has been equipped with 19'' machined aluminum wheels, a back up camera, reverse parking assist system, and intelligent access entry. Interior options include premium cloth seating, a voice activated sync system, touch screen radio, track apps, and a leather wrapped steering wheel with mounted controls. Ford Certified - 7yr/100k Mile Warranty - EcoBoost Engine. This vehicle has been equipped with 18'' machined aluminum wheels, a back up camera, reverse parking assist system, intelligent access entry, and pony projection lamps. Interior options include premium leather seating, climate controlled front seats, a touch screen radio, a voice activated sync system, Sirius satellite radio capability, and a leather wrapped steering wheel with mounted controls. 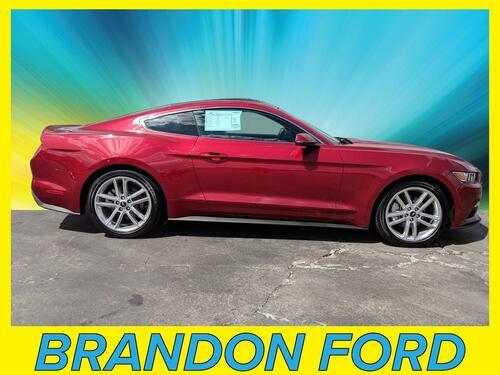 Ford Certified - 7yr/100k Mile Warranty - *** Only 12,400 Miles ***. 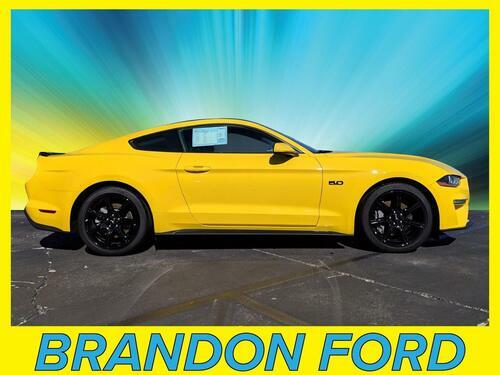 This vehicle has been equipped with a back up camera, a reverse parking assist system, intelligent access entry, pony projection lamps, and 20'' premium painted aluminum wheels. Interior options include premium leather seating, climate controlled front seats, a touch screen radio, voice activated sync system, and a leather wrapped steering wheel with mounted controls. Ford Certified - 7yr/100k Mile Warranty - Black Accent Package. This vehicle has been equipped with a back up camera, reverse parking assist system, intelligent access entry, and 19'' ebony black painted aluminum wheels. Interior options include premium cloth seating, a voice activated sync system, and a leather wrapped steering wheel with mounted controls. 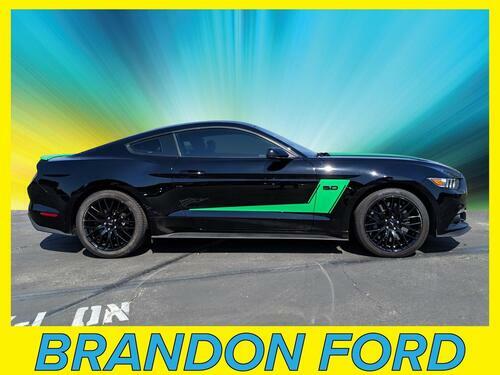 Ford Certified - 7yr/100k Mile Warranty - Navigation - Shaker Pro Audio System - GT Performance Package. This vehicle has been equipped a back up camera, 19'' ebony black aluminum wheels, intelligent access entry, and pony projection lamps. Interior options include premium leather seating, climate controlled front seats, a touch screen radio, voice activated sync system, and a leather wrapped steering wheel with mounted controls. Ford Certified - 7yr/100k Mile Warranty - Black Accent Package - Navigation. This vehicle has been equipped with 19'' ebony black painted aluminum wheels, a back up camera, reverse parking assist system, intelligent access entry, and pony projection lamps. Interior options include premium Showstopper red leather interior, climate controlled front seats, adaptive cruise control, Shaker Pro audio system, and a leather wrapped steering wheel with mounted controls. 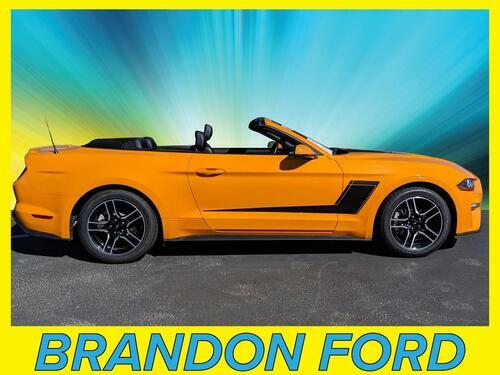 Ford Certified - 7yr/100k Mile Warranty - *** Only 12,100 Miles *** - Navigation - Shaker Pro Audio System. This vehicle has been equipped with a back up camera, reverse parking assist system, active performance exhaust, 18'' machined aluminum wheels, and intelligent access entry. Interior options include premium Showstopper red leather seating, climate controlled front seats, a touch screen radio, a voice activated sync system, and a leather wrapped steering wheel with mounted controls.